Lion Bin Hire provides rubbish and waste removal in St Kilda West. 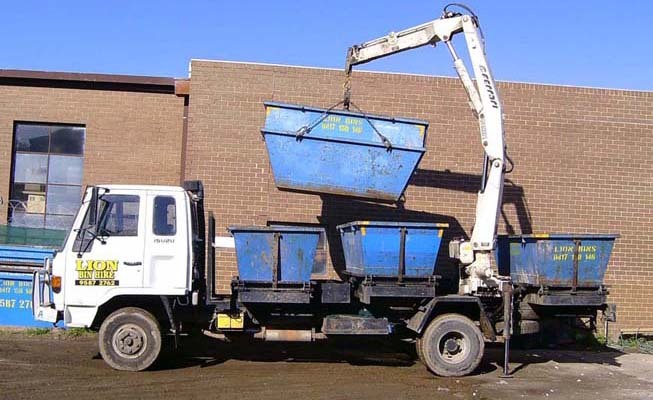 We offer waste disposal and skip hire services in St Kilda West. Our skip bins are delivered to you by our crane lift truck, and your rubbish removed from St Kilda West by us. We are the best in Melbourne, with cheap prices and friendly business. Call us as soon as you need skip hire in St Kilda West 24/7 for a free quote. Call Phil when you need waste disposal and your rubbish and waste collected in St Kilda West. Copyright © 2012 - 2016 Lion Bin Hire Pty. Ltd.